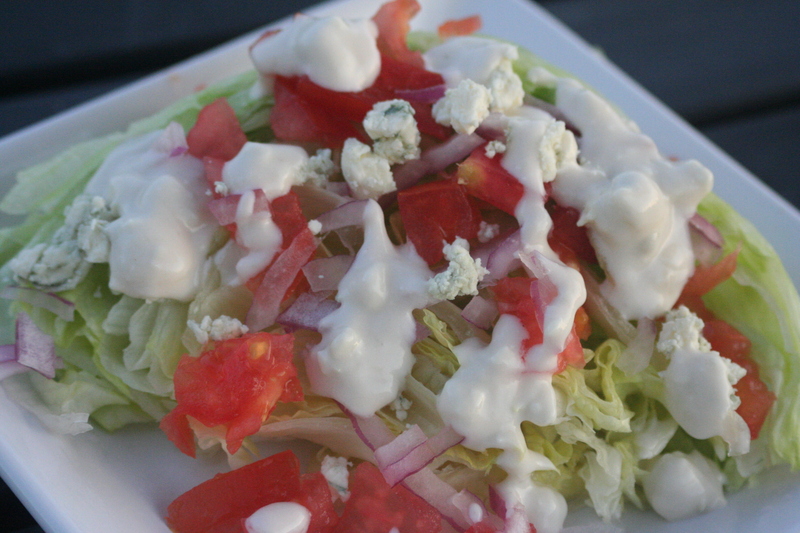 I'm not generally a fan of iceberg lettuce but this recipe showcases this crisp lettuce with a wonderful blue cheese dressing. This would be delicous with a little bacon! Combine blue cheese, yogurt, buttermilk, mayonnaise, vinegar, olive oil, sugar, garlic, and pepper in a bowl; whisk together; chill until serving. Build the salad by placing 1 lettuce wedge on each of 4 plates. Drizzle equal amounts of dressing over each wedge. Scatter tomatoes, onion, and blue cheese over each salad. Serves 4. 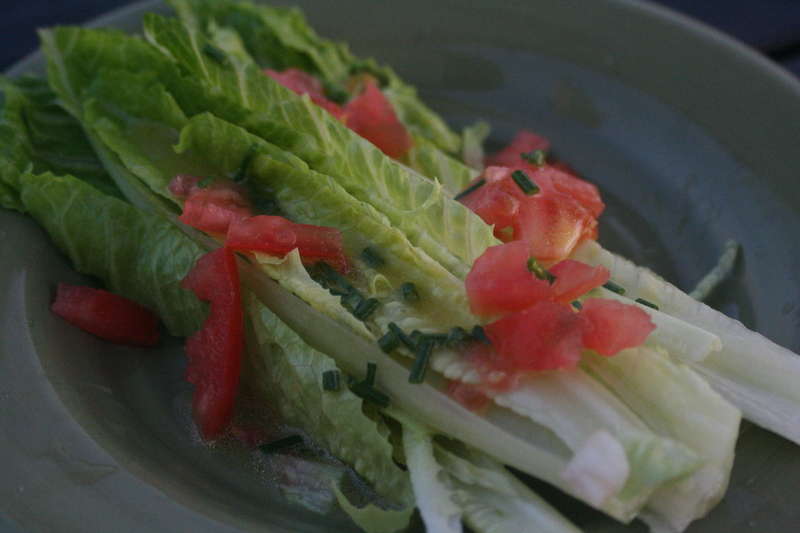 This dressing is fresh and delicious and really enhances the romaine lettuce. The recipe is adapted from Rachael Ray. Whisk lemon juice, mustard, and sugar together in a bowl. Add chives and whisk in oil in a slow stream. Season dressing with salt and pepper. Quarter each heart of romaine lengthwise. Trim core at ends. Place 2 quarters on each salad plate. They're served whole, covered with dressing. Halve a few grape tomatoes and place at plates' edge for garnish. Drizzle salads liberally with vinaigrette and serve. Serves 4.